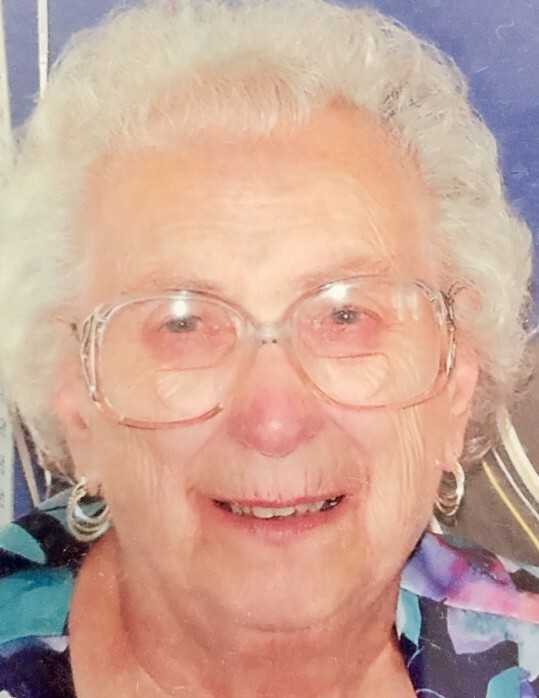 Dorothy Eva (Haynes) Birard “Dot”, 87, of Whitefield, NH passed away peacefully Wednesday, November 28th, 2018 at the Morrison Nursing Home after a long battle with Alzheimer’s. Born September 30th, 1931 in Canaan, Vermont to Harold and Ruth Haynes. Dot attended school in Whitefield and graduated from Whitefield High School in 1949. She then worked at Saranac Glove before and after marrying Roy Birard in 1955. She also worked in the Business Office at the Morrison Nursing Home after all of their children were in school. Dot was a member of St. Matthew’s Catholic Church, a member of the Mt. Washington Grange and held various offices in both the State and National Grange. While living on Jefferson Road in Whitefield, she joined the neighborhood women’s group, “SOS”, Sisters of the Skillet, sharing recipes and compiling a cookbook. She loved to cook/bake and always brought something homemade to all gatherings of family and friends. Dot is survived by her husband of 63 years, Roy Birard of Whitefield. Their children: daughter Cheryl Killam and husband Jeffrey Killam of Concord, NH, daughter Debra Enman of Manchester, NH, son Kevin Birard and wife Eleanor Birard of Jefferson, son Jeffrey Birard and wife Michelle of Dalton, NH, and daughter Jennifer Birard of Tampa, Florida. She is also survived by her sister Betty Lou Champagne of Goffstown, NH, three grandchildren: Lou-Ellen Enman daughter of Debra, Manchester, NH and Trevor and Brandon Birard sons of Kevin and Eleanor, Jefferson, NH, by two step-grandchildren: Jessica and Alyssa Mendez daughters of Michelle Birard of Dalton, NH and by two great grandchildren: Madyson and Jamieson List, children of predeceased granddaughter Ashleigh List and father Jason List of Concord, NH. Dot was predeceased by her son-in-law Peter Enman and two granddaughters, Ashleigh List and Hilary Killam. The family would like to extend many heartfelt thanks to all for the wonderful care our loved one received while a patient at the Morrison Nursing Home. A graveside service will be held in May. If you would like to make a donation in Dot’s memory, please send to: Morrisson Nursing Home, 6 Terrace Street, Whitefield, NH. 03598, or to a charity of your choice. “Dot/Mom/Gram/Great Gram”, your battle with Alzheimer’s has ended. May you forever rest in peace. We love you and will miss you always. There's still time to send flowers to the Graveside Service at the Park Street Cemetery at 1:00 PM on May 18, 2019.